I’m excited to announce the release of the updated version of AWSuM. With this update, it is now possible to (1) search the left of the target words (1L to 3L). And if you use an asterisk in the search, (2) AWSuM shows you the words used in the place of the asterisk. 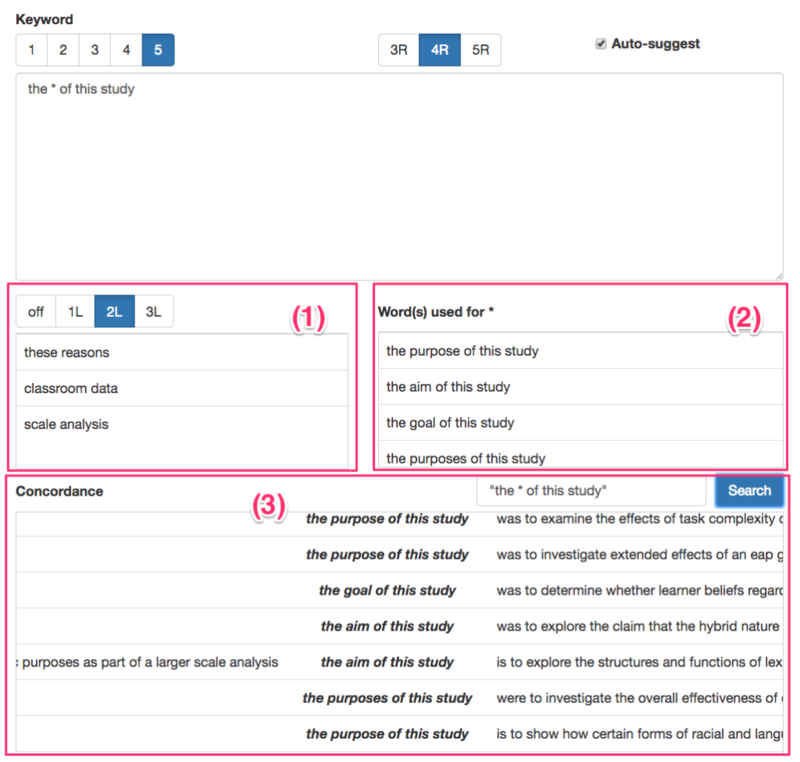 You can also generate (3) concordance lines to examine how words are used in context. Isn’t it awesome or what? For those of you who don’t know what AWSuM is, here’s the introductory video. The complete manual will be available in a few weeks.